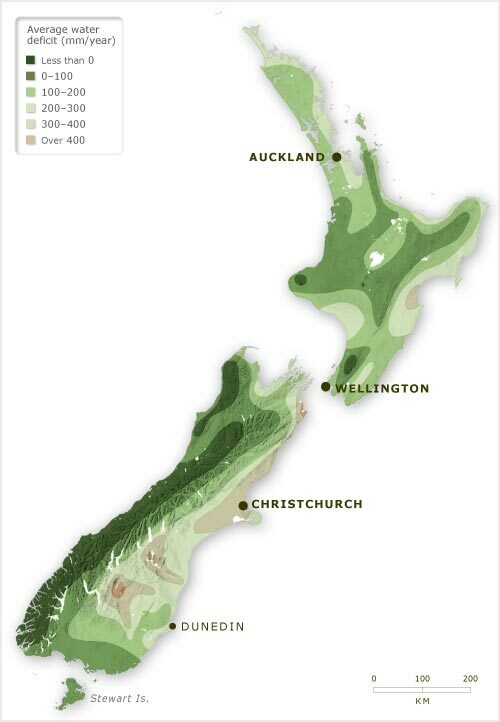 Most New Zealand soils have a moisture deficit for at least a short time in summer to autumn each year. An exception is the rainy West Coast of the South Island. By contrast, Central Otago and large parts of Canterbury have water deficits of more than 300 millimetres per year.